Sea To Summit provides a Columbia Gorge and Mt. Hood Tour. Sea To Summit is owned and operated by native Portland, Oregonians who operate custom 4X4 vehicles for touring year round. Their Mt. Hood and Columbia River Gorge Tours are a full day's adventure starting with the scenic Columbia River Gorge working its way to Mount Hood. Tours are available every day of the week, so no matter what day you have off this opportunity is available to you. Read more details about this Columbia Gorge and Mt. Hood Tour from Sea To Summit below. 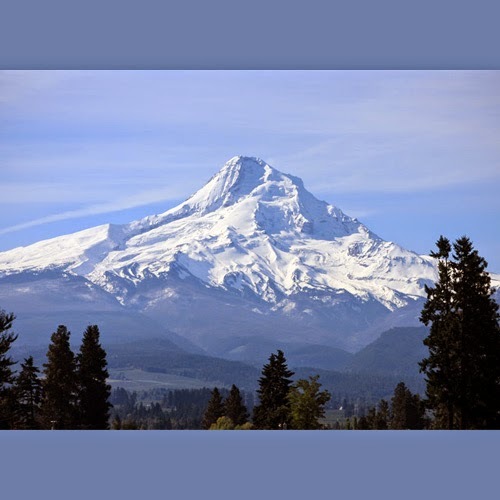 $125.00 per person Sea to Summit offers Columbia Gorge and Mt. Hood Loop Tours All Winter Long!!! Begin the day with visits to Chanticleer Point, Crown Point and the Vista House, all breathtaking viewpoints of the Columbia River Gorge. Travel along the Historic Columbia River Highway constructed in 1912-1914 and explore numerous waterfalls including Latourell Falls, Wahkeena Falls, Horsetail Falls and 620 ft. Multnomah Falls (North Americas second tallest year round waterfall). Continuing on, it is a short trip to the Bonneville Dam salmon ladders and Oregon’s largest fish hatchery. From the Bonneville area we pass the Bridge of the Gods and travel to the town of Hood River, Oregon, the wind surfing capitol of the world. In this area a stop for lunch, by a fresh fruit stand or winery is always a option during the tour. Continuing the journey around the scenic east side of the Mt. Hood to the National Historic Landmark, Timberline Lodge, est 1934. This Magnificent Lodge sits at 6,000 ft on the south south side of Mt. Hood, Oregon’s tallest volcano. Home to Timberline Ski Area, this historical lodge has been featured in movies such as “The Shinning” and is considered to be “Every ones Playground” Sea to Summit’s Mt Hood & Columbia River Gorge Loop Tour is amazingly scenic and very informative, both historically and geographically. Make sure to bring comfortable shoes, light jacket and a camera on this awesome Sea to Summit Tour!